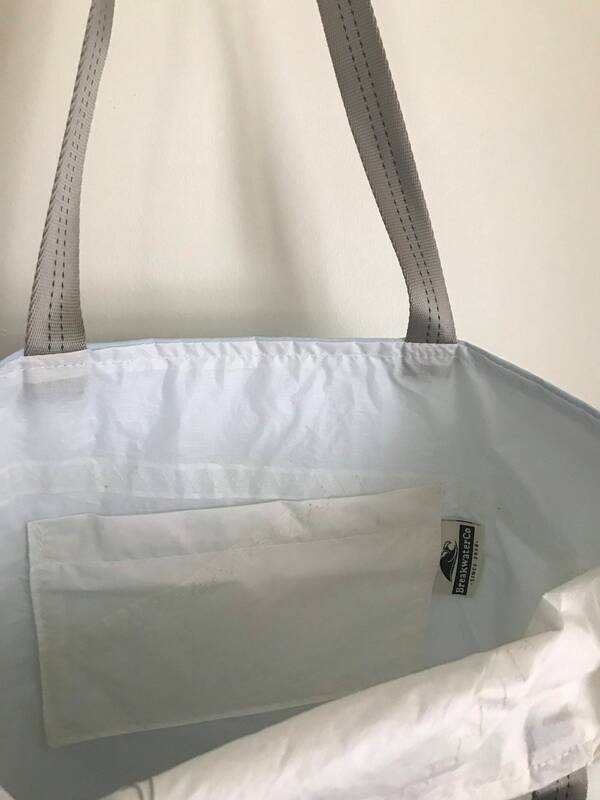 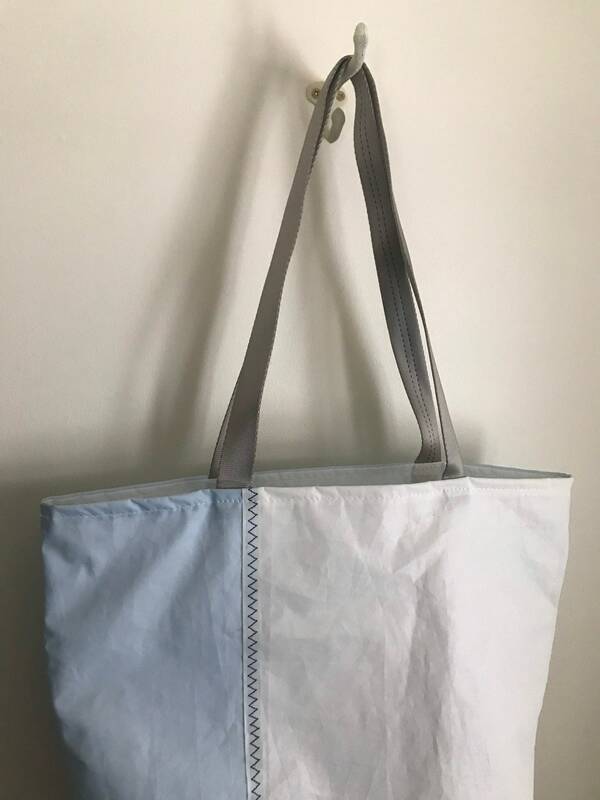 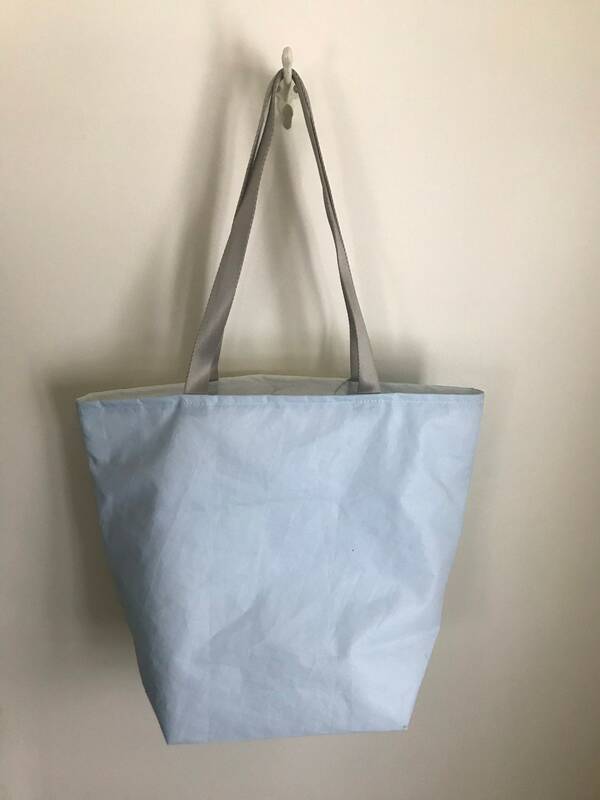 The sailcloth tote bag, beach bag, travel tote is made to last. 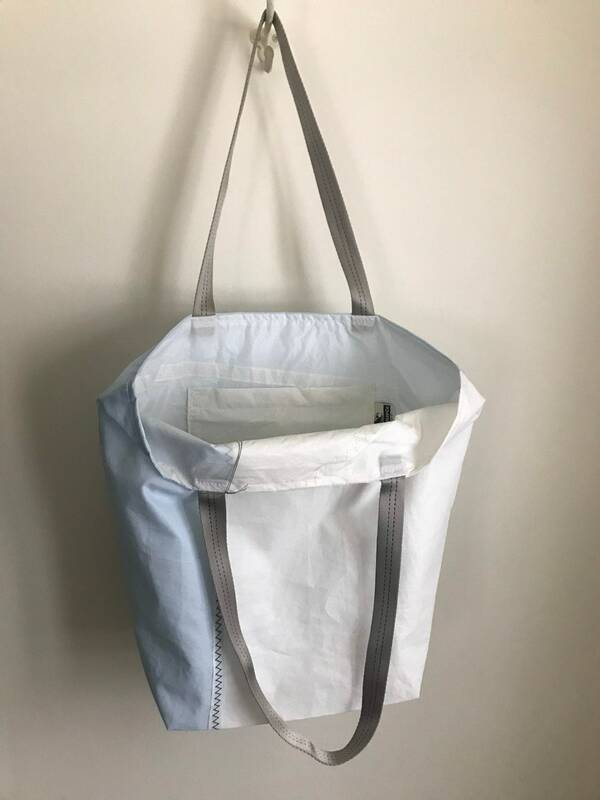 I use mine for everyday items. 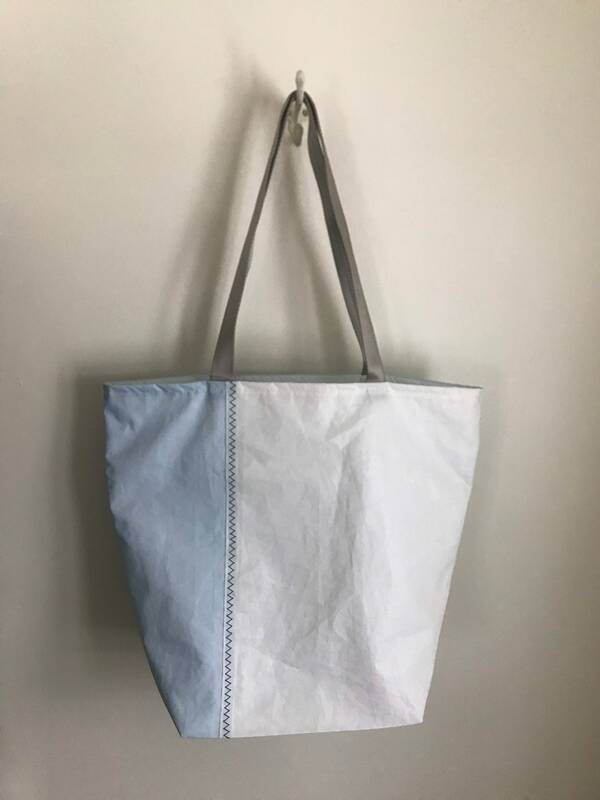 Made in my shop in Michigan from recycled sails. 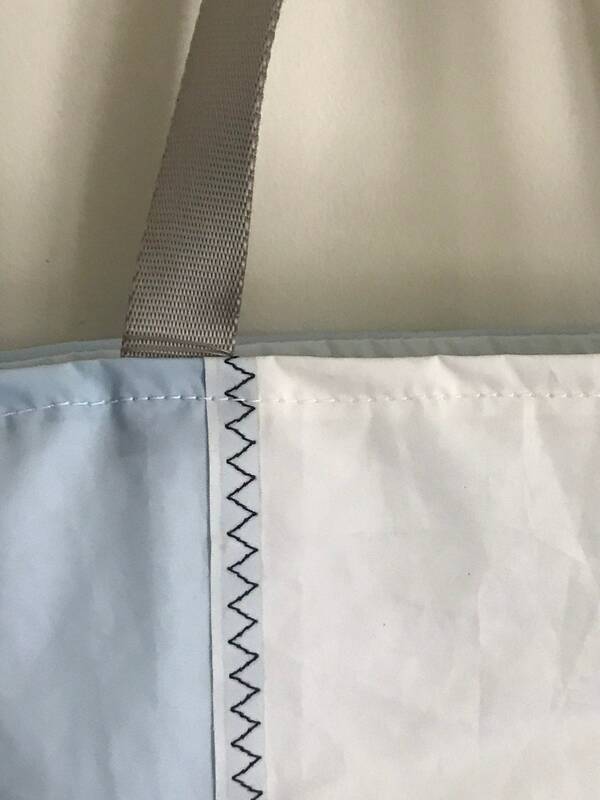 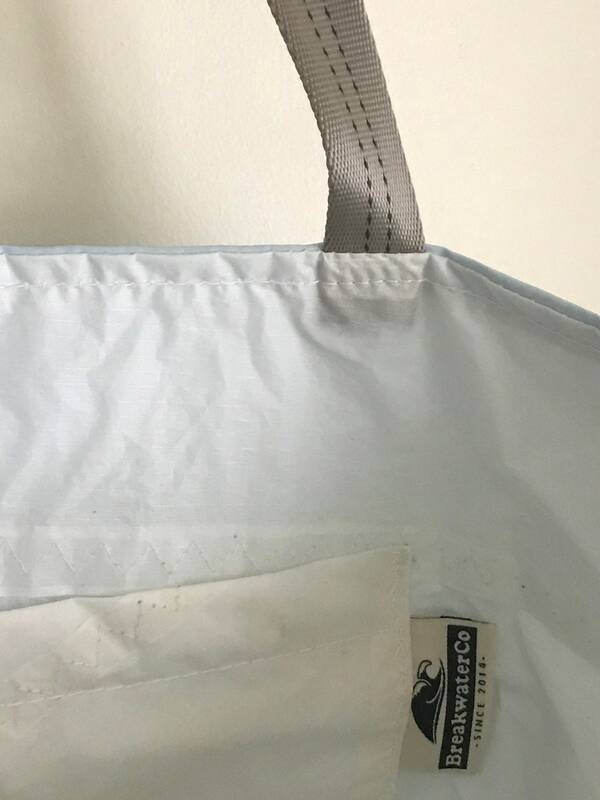 The handles are a strong tubular webbing.